When home alarms first became available, wireless technology hadn’t even been invented yet. That meant that everything was installed with wires, wires everywhere: wires running through your home’s walls and ceilings, snaking out to the master and secondary keypads and into your home’s landline phone system. This lasted a few years until a replacement was necessary. If you didn’t pay for an upgrade, your wall looked like a patient permanently cut open on the operating table – your alarm system guts spilling out everywhere. Then along came wireless alarms, which are slowly nudging wired systems off the market. Wireless alarm systems offer huge advantages over wired systems – they’re less obtrusive, easier to install, and are affordable – making them the alarm of choice for many of today’s homeowners. 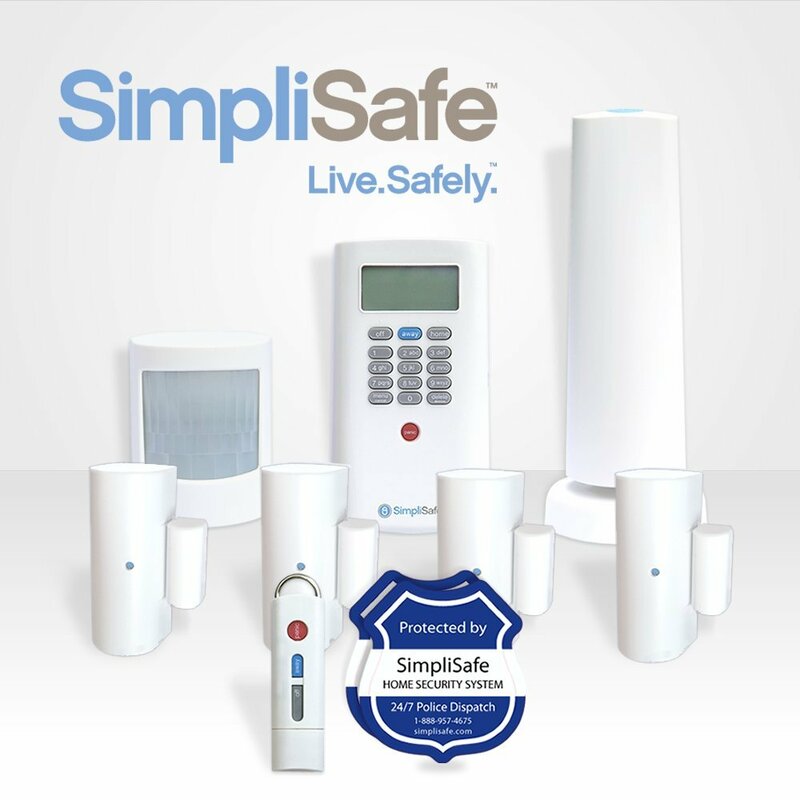 The SimpliSafe Wireless Home Alarm System is both a very highly rated and an extremely popular choice among homeowners who want a simple but full home alarm system that is easy to install. 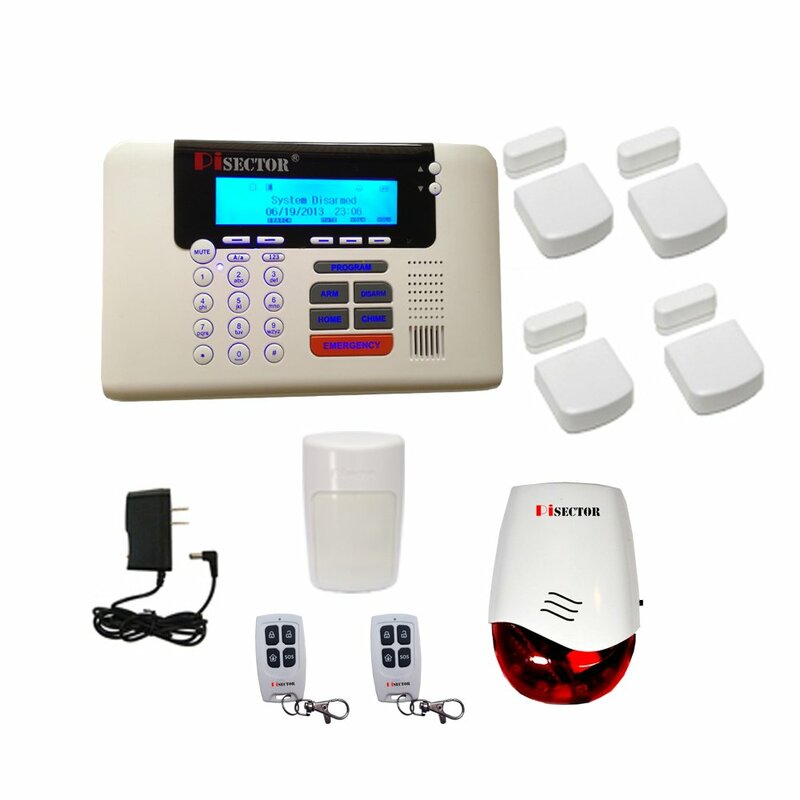 This wireless alarm system can be installed in your home on your own in under an hour and does not require a long-term commitment for a home monitoring service, though the service itself is inexpensive and offers great customer service. 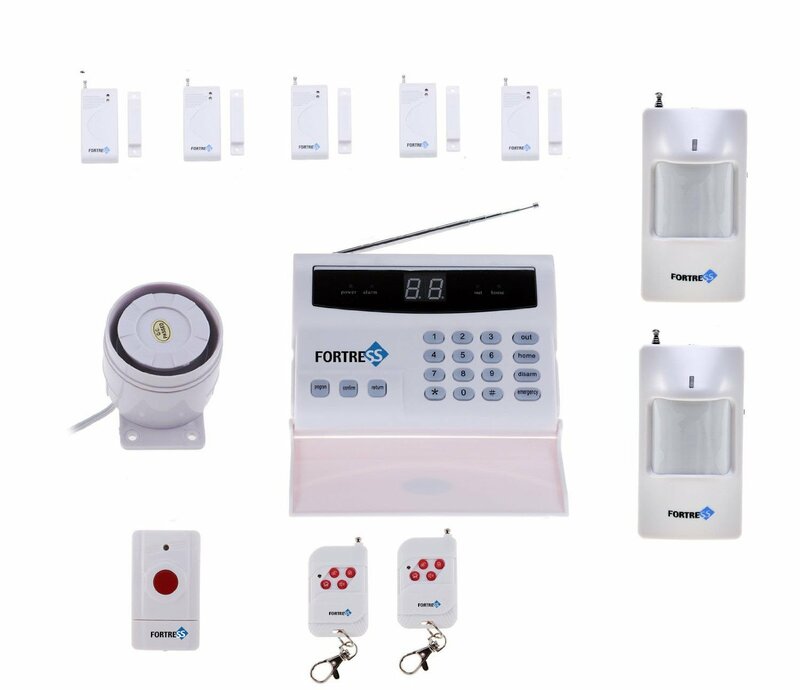 Fortress is a well-known brand in wireless home security and rightfully so. This model has the most consistently positive feedback among homeowners, with features such as a fully programmable main unit and sensors, passive motion sensors, an auto-dialer function, and a loud, 110dB alarm that alerts neighbors and deters potential intruders. 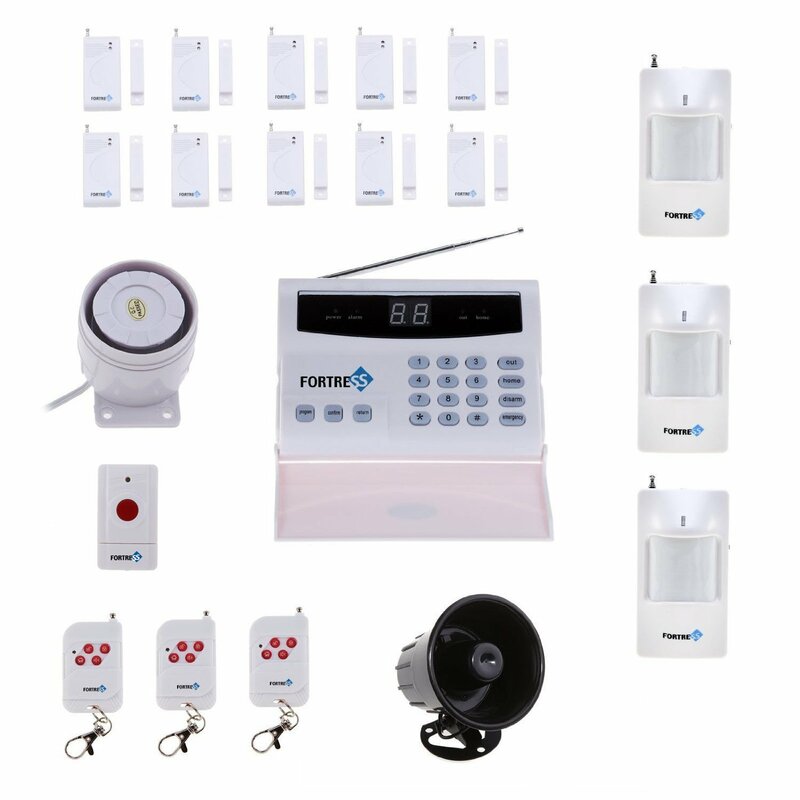 This is another popular wireless alarm system from Fortress that includes some more features for homeowners who want even more comprehensive home security. This model has all of the same basic features as the SO2-A model, but also includes an auto-dialer function that will call up to 6 designated phone numbers in case of a security breach, additional sensors, and an outdoor siren. This wireless home security system offers some very unique features that might be attractive to some homeowners, such as a Silent Alarm Mode which calls out discreetly (suitable for shops or in life-threatening situations), a microprocessor-controlled pet-immune sensors for detecting motion of objects above 50 lbs with pre-analysis before alerting to minimize false alarms, and a volume adjustable function with mute to hide the console so an intruder cannot find it and smash it. This Skylink wireless alarm system is a comprehensive DIY wireless security system that is easy to install and ready to use. The emergency dialer (AD-105) is your own monitoring center without any monitoring fees, and when triggered, its siren will sound and a signal will be sent to wireless dialer to call up to 9 preprogrammed phone or pager numbers, playing your prerecorded message. 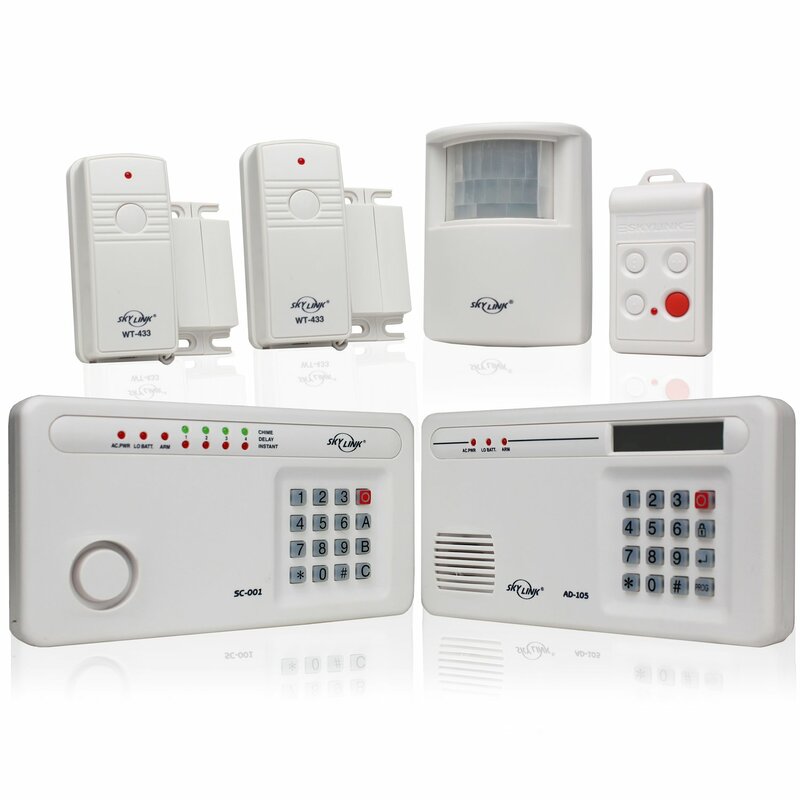 Easy Installation: One of the top advantages of a wireless alarm system is that it does not require the destructive and costly installation of a wired alarm. Wired home alarms require electrical installation – circuit testing, electrical leads, and wire-stripping – and also physical installation, which may include minor demolition and can even require [expensive] contractor services to drill through granite and marble, reroute pipes, and make other necessary changes to install a wired alarm. A wireless system needs only basic tools, a few screws, and a couple of free hours. Battery-Powered: Though some wired systems have battery backup, these are only emergency measures that deplete quickly. Wireless systems, on the other hand, are designed to function on battery power only (or primarily) and therefore offer a more robust and reliable system for battery power. Most also prompt you to check the batteries on a regular basis, so you won’t be caught with an unpowered system. Battery power also means that even if a home invader cuts your power lines, your system is still go for protection. Range: The best wireless systems can easily communicate over hundreds of feet – more than double the range of a basic wired system. This makes it easier to secure even far-flung property (like a detached garage or outbuildings that sit away from the house). And if you live on acreage, several wired systems can be linked together to create a comprehensive security net over your entire property. Cellular Network: Most wireless systems send out the alarm via cell phone signal. That means that even if your power goes out or your phone lines are cut, your system is still connected to the alarm company, the local police, and anyone else on the notification list. Even the best burglar would have a hard time taking out the entire cell network. Smart Home: The technology built into some wireless alarm systems allows you not only to install video monitoring and receive activity notifications of any occurrences in your home, but also to control other systems via your computer or smart phone. These include the lights, door locks, and temperature controls – especially useful when you’re away on vacation or if you’ve secured a second home. Easy Troubleshooting: Your alarm installer can often identify remotely any problems with your wireless alarm. This means that you can call technical service and have your fix during the same phone call – no technician visit required. Additionally, many wireless alarms run their own troubleshooting programs automatically and proactively notify you of any problems or warning signs. Easy Upgrades: Since each component of your system is wireless, it is easy to remove one part and replace it for an upgraded model. You can also buy additional sensors or tack-on new features, like video monitoring, after you’ve installed the system. You can’t do any of that easily with a wired alarm.